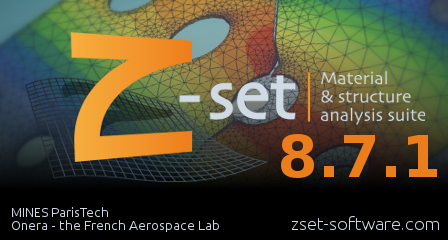 Z-mat is an integral part of the Z-set suite, but can also be used as a material library plugin for major finite element solvers: Abaqus, Ansys, Samcef, LS-Dyna, MSC Software, etc. It provides a collection of constitutive models, as well as an environment for developing new models. 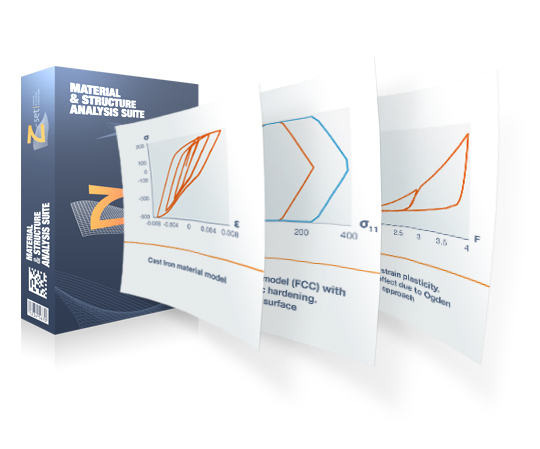 Z-mat provides a large base of constitutive models for plasticity and viscoplasticity, along with dedicated robust integration methods and advanced material parameter identification procedures. 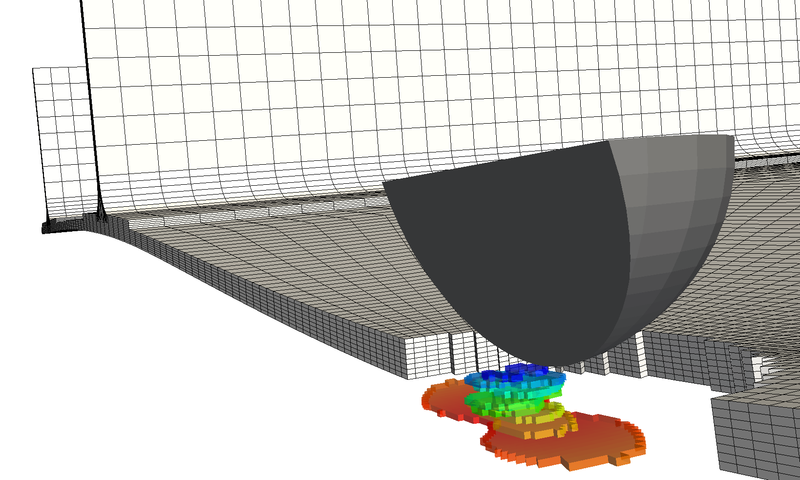 Predefined models are highly modular, allowing the user to build a new model directly in the material input file by combining different “building bricks”. Many thousands of combinations are possible, with application for metals, polymers, crystals, porous inelasticity (densification and damage), continuum damage mechanics, soil and rocks, and anisotropic materials. 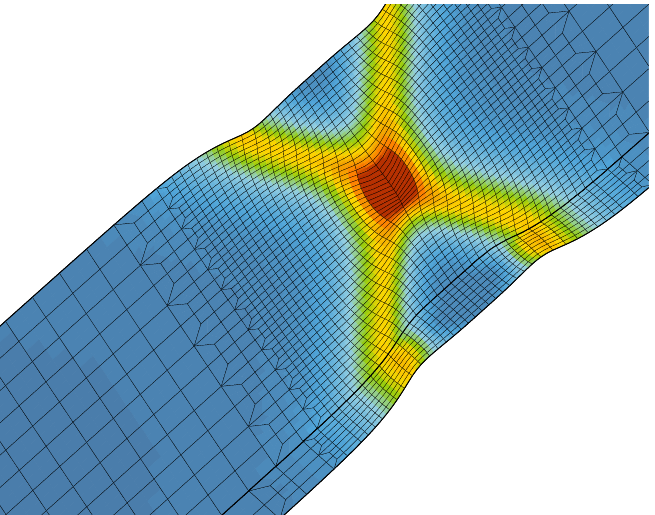 Linear elasticity with thermal strain and elasticity objects. 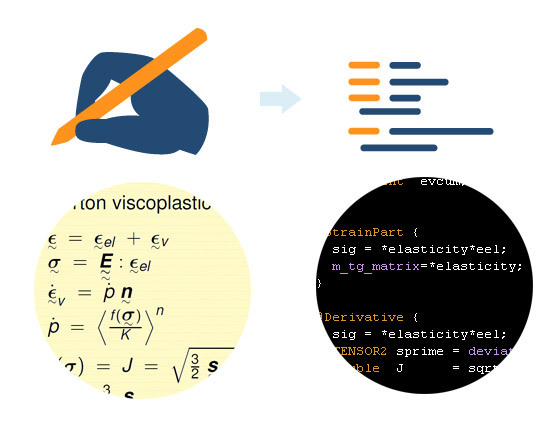 Maxwell viscoelasticity is a modular behavior with any number of shear and volumetric terms. 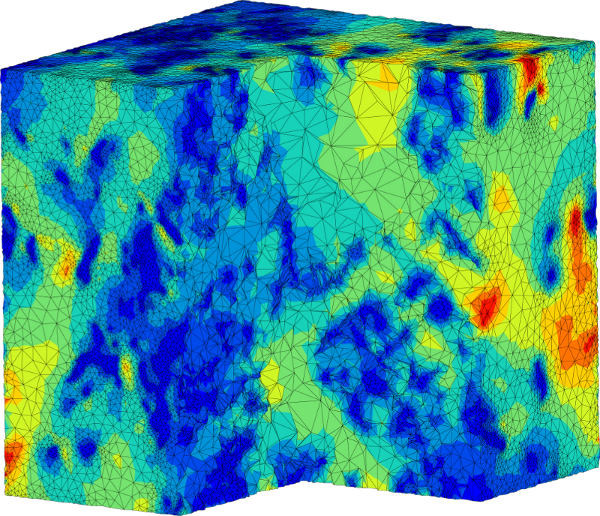 Hyperelastic model with Mooney, Rivlin and Ogden models for compressible and incompressible behavior. 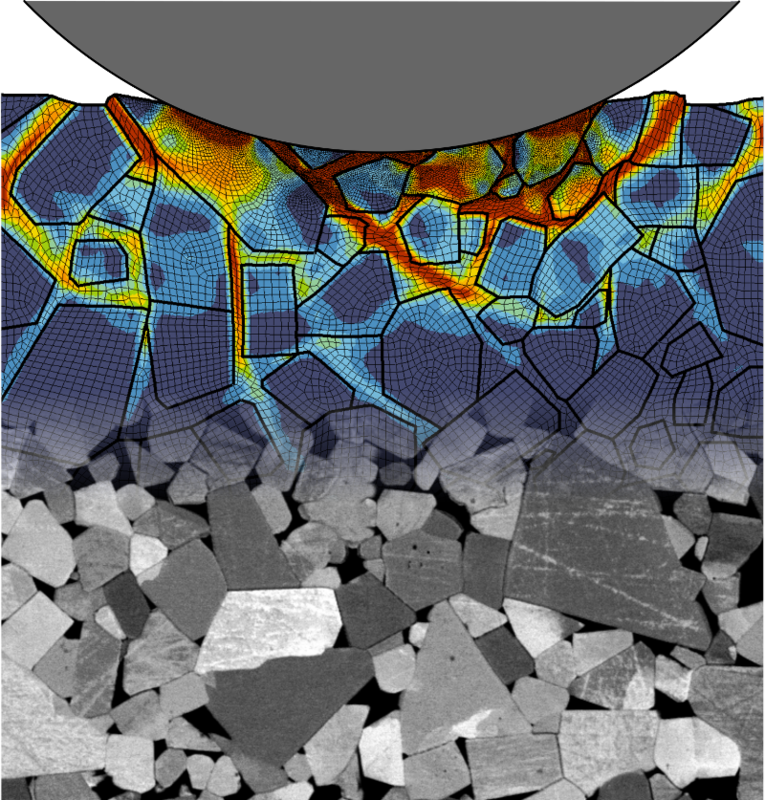 Porous plasticity is a modularized model using flow, isotropic, porous criterion, thermal strain, and adiabatic heating parts. The general elasto-viscoplastic (Gen-evp) model is a highly modular model for plasticity, viscoplasticity, single crystals and polycrystals and damage, among other features. It uses elasticity, thermal strain, heat generation, global-handler, any number of potentials, and interaction between material objects. Cosserat elastic and plastic models. Cosserat materials have micropolar rotation influence and a “material length” measure. Multi-mat. 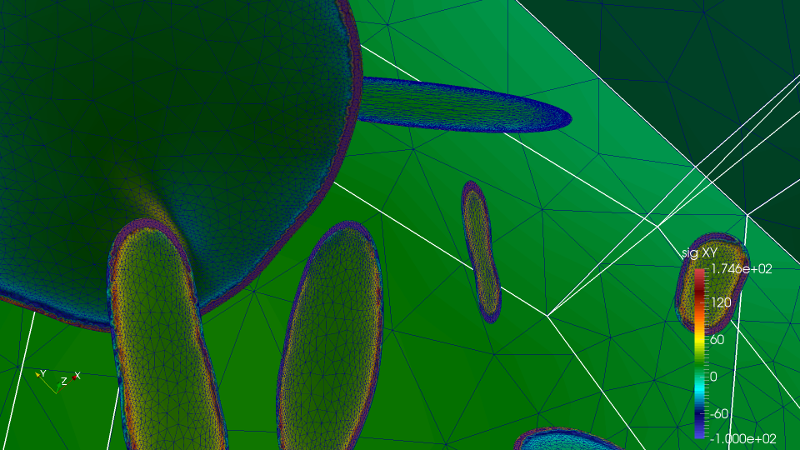 This section contains a series of scale transition rules that can be combined for the development of multi-phase material and composite models. 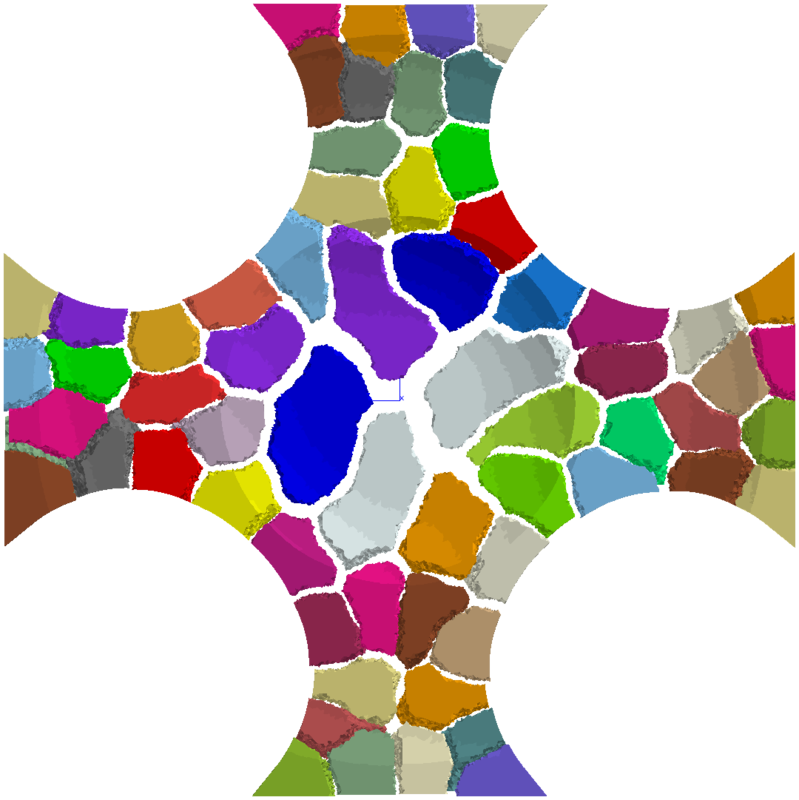 The concept is recursive, so that the multiscale model may have more than just two scales. Damage is also accepted in this framework. While the existing capabilities in Z-mat are extensive, it is also an ideal development platform. 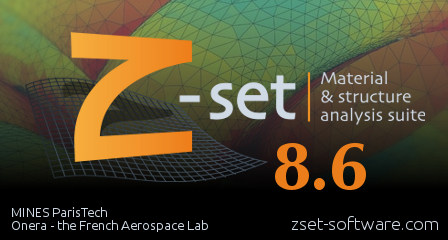 User additions may be combined with the standard Z-mat library to make a permanent customized site library of material model routines. 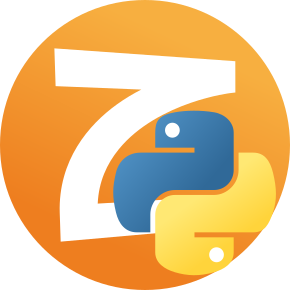 Extensions can be developed in C++, or using the ZebFront high-level language that directly manipulates mechanical objects and algebra.